Many Filipinos are "rice person" and this is a reason why there are many restaurants that offering an unlimited rice (unli-rice) serving in their meals. 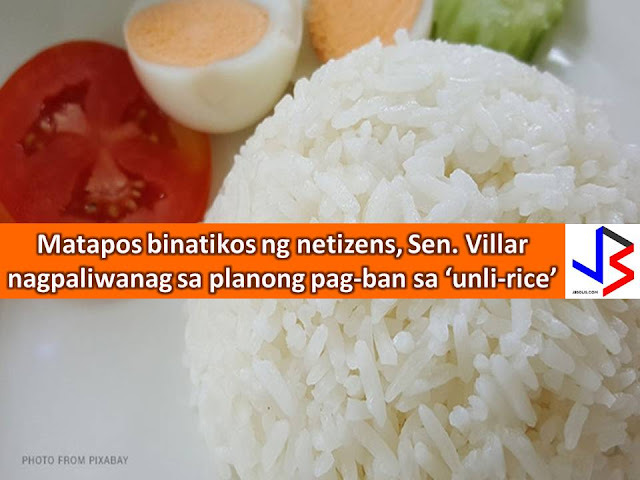 But Sen. Cynthia Villar wants to implement a ban on the offering of unli-rice serving in the restaurant to help the government in hits effort towards rice self-sufficiency. 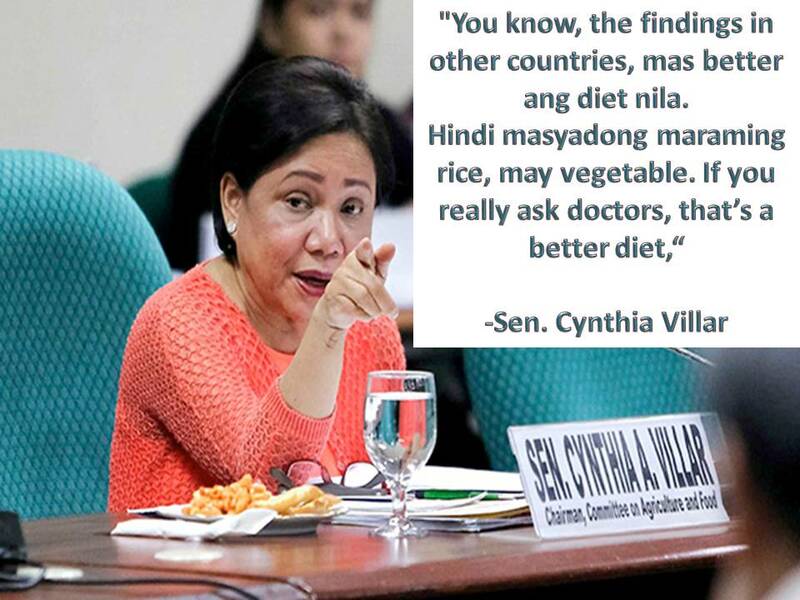 In return, Villar as a chairperson of Senate committee on agriculture and food urged the food establishment to encourage people to eat more vegetables instead. But the lady senator clarified that she is not planning to file a bill to ban unli-rice serving in restaurants. 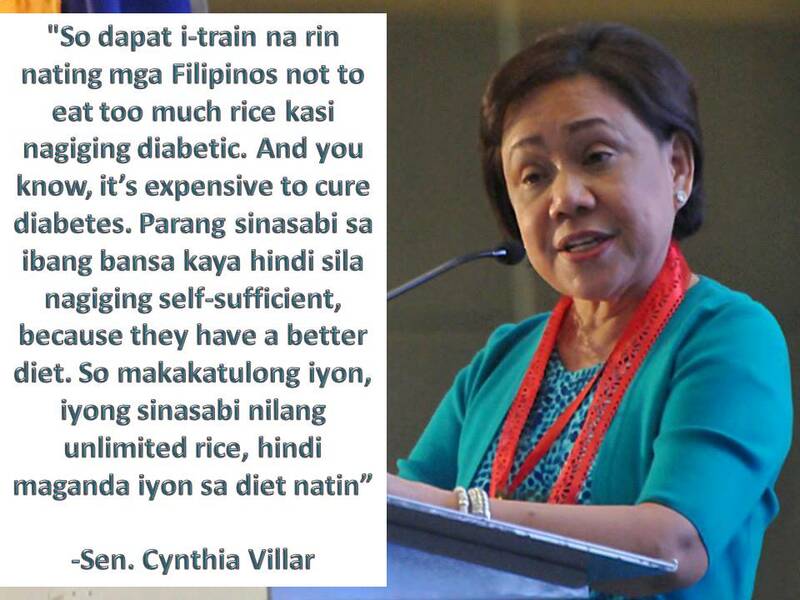 Villar also told the officials to encourage the consumption of brown rice, instead of well-milled rice. "I am not planning to make a law banning 'unli rice', not at all. I just voiced out my concern that eating too much rice is one of the main causes of high blood sugar that leads to diabetes,"
"But, of course, I cannot prevent people from eating unlimited amount of rice. It is their choice. It was just a genuine expression of concern on my part." She even posted her explanation on social media saying "Keep calm, there's no ban on unli rice." 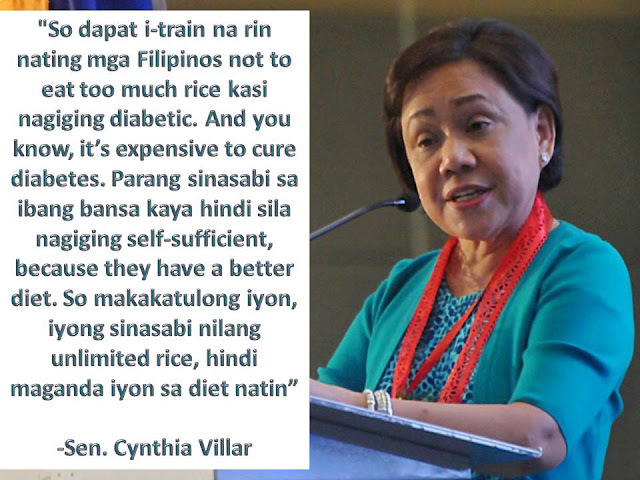 Villar made a clarification on her statement regarding banning unli-rice after many netizens criticized her plan.